THE REV. DAVID JAY WEBBER is a native northeasterner, of English (Mayflower), Dutch, Frisian, Swedish, Danish, German (Palatine), Swiss (German), French, Welsh, Scottish, Irish, Scotch-Irish, Belgian, Italian, and Slovak ancestry. He was baptized and confirmed at Christ Evangelical Lutheran Church in Germantown, New York (LCA, now ELCA). After receiving a Bachelor of Arts degree in history in 1984 from The King’s College in Briarcliff Manor, New York, he studied for the Ministry and received his Master of Divinity degree in 1988 at Concordia Theological Seminary in Fort Wayne, Indiana (LCMS). In 2015 he received the degree of Master of Sacred Theology from the Institute of Lutheran Theology in Brookings, South Dakota. In 1988 he was ordained as a Pastor in the Evangelical Lutheran Synod, of which he has been a member ever since. He serves on the ELS Doctrine Committee, and is the Visitor for the ELS Southwest Circuit. 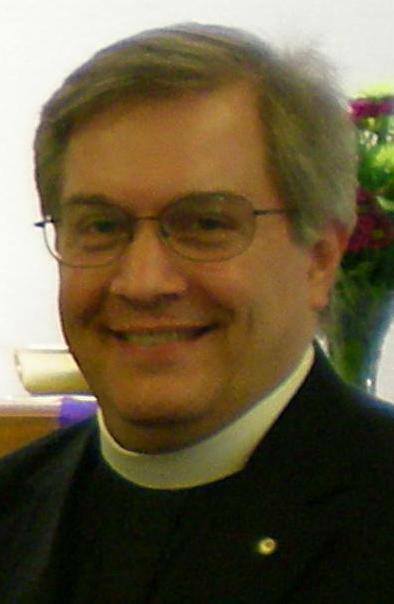 He served as Pastor of Scriptural Evangelical Lutheran Church in Cape Girardeau, Missouri, from 1988 to 1990; as Pastor of Trinity Lutheran Church in Brewster, Massachusetts, from 1990 to 1997; and as Rector and Professor of Theology at Saint Sophia Ukrainian Lutheran Theological Seminary in Ternopil’, Ukraine, from 1997 to 2005 (under the auspices of the Thoughts of Faith mission society). 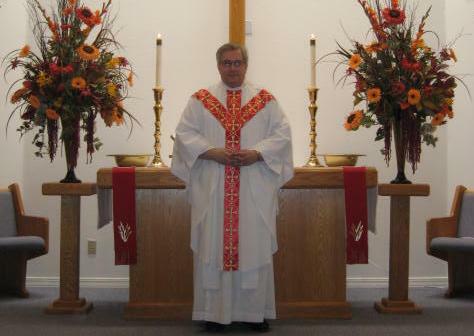 He has been the Pastor of Redeemer Lutheran Church in Scottsdale, Arizona, since 2005. Pastor Webber has been a frequent speaker or essayist at various theological, genealogical, and historical conferences over the years, both in Europe and in North America. These have included the Confessional Christian Worldview Seminar in Trego, Wisconsin (on three occasions); the Bethany Reformation Lectures in Mankato, Minnesota (on two occasions); the New England Regional Genealogical Conference (on two occasions); the Palatines to America National Conference (on two occasions); the Biblical Worldview Conference in San Antonio, Texas (on four occasions); the WELS National Conference on Worship, Music, and the Arts; the Emmaus Conference in Tacoma, Washington; the Conference on Christianity and Culture in Escondido, California; and the Luther Forum in Brewster, Massachusetts. He has also taught in the seminary program of the Lutheran Mission of Salvation in India. Papers or articles written by him in the areas of theology, liturgics, church history, and genealogy have appeared in several publications, including The Bride of Christ, Concordia Historical Institute Quarterly, Logia: A Journal of Lutheran Theology (of which he is a contributing editor), Lutheran Quarterly, Lutheran Sentinel, Lutheran Synod Quarterly, The New England Historical and Genealogical Register, The Genealogist, The Palatine Immigrant, Slovo (a bilingual Slovak-English publication), and Styah (a Ukrainian publication). He was a 1996 recipient of the Concordia Historical Institute Award of Commendation, for his essay Confessing the Faith in the Language of America: The Historical Context and Enduring Significance of the Henkel Translation of the Book of Concord (Logia IV:3, pp. 39-48), which CHI described as an important and perceptive article about the still-relevant contributions of the Henkel family to confessional Lutheranism in America. More recently, he authored three chapters in the book Here We Stand: A Confessional Christian Study of Worldviews, issued in 2010 by Northwestern Publishing House. And his full-length book, Spiritual Fathers: A Treatise on the Lutheran Doctrine of the Ministry, with Special Reference to Luther’s Large Catechism, was published in 2013. His wide-ranging interests are also reflected in his past and present organizational memberships: the Governor William Bradford Compact (comprised of descendants of William Bradford), the Sons of Union Veterans of the Civil War, the Palatine Society of the Evangelical Lutheran Church, Palatines to America (a genealogical society), the Arizona Council of Professional Genealogists, and the Scottsdale Civil War Round Table. He served as a member of the SCWRT Board of Directors for eight years. In other times and places he served as a member of the Board of Directors and as President of the Abortion Alternatives Agency of Southeast Missouri; as the Pastoral Adviser of the Trail of Tears SEMO Chapter of Lutherans for Life; and as a member of the Board of Directors of the Cape Cod Chapter of Massachusetts Citizens for Life. He has been married for 34 years to the former Carol Wimble (the organist at Redeemer). They have three grown children: Rev. Paul (married to Marta; father of grandsons John and James and granddaughters Helen and Marilyn), Sarah (married to Matthias Leyrer; mother of grandson Lazarus), and Catharine (married to Rev. Andrew Soule). He is known to be a fan of the movies of John Wayne, Morgan Freeman, Harrison Ford, and Jeff Daniels; the music of Hieronymus Praetorius, Michael Praetorius, Felix Mendelssohn, and John Michael Talbot; and the writings of St. Ambrose of Milan, Martin Chemnitz, Charles Porterfield Krauth, and Hermann Sasse. The web sites that he maintains on the topics of Lutheran theology, St. Ambrose, his family’s genealogy, the life and achievements of William Bradford, and the history of the 150th New York Infantry and of the 86th New York Infantry (two Civil War regiments) are enjoyed by Internet visitors from around the world. He is a cat person, is a lover of old books and freshly-brewed coffee, has a dry sense of humor, doesn’t get enough exercise, and actually prefers blended red wine from a box.